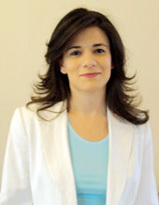 Dr Diotima Papadi is an Assistant Professor in Classics at Neapolis University Pafos (Cyprus). She holds a BA in Classics from the University of Cyprus, an MPhil. in Classics from the University of Cambridge, and a doctoral degree (PhD) from University College London. She has taught at UCL at first as a Postgraduate Teaching Assistant, and then as an Honorary Research Associate, while also acting as a Language Coordinator at King’s College London. She has taught for several years Greek as a foreign language (to adults). Since 2008 she has worked as a Lecturer and then as Assistant Professor at Neapolis University Pafos. Since 2017 she has been appointed as the Director of the School of Greek Language.